Our preferred before and after school care provider is aPlus Out of School Care. aPlus is based at Hokowhitu School, so your child does not have to be driven to another location, and will remain in a familiar environment. aPlus Morning Care runs from 7.15am to 8.30am. The programme is casually structured, providing a relaxed variety of activities for the children to enjoy before starting their school day. Children are provided with breakfast from 7.30am to 7.50am, with toast and a variety of spreads and cereals to choose from. If you wish your child to have breakfast, please call our office on (06) 357 5583 to confirm. Each day includes a mixture of planned activities, homework, and play. For the older children there is also a term project (e.g. building an igloo, digging a garden) to concentrate on. Children benefit from the opportunity to socialise with their peers and to practise their citizenship by building friendships and working alongside others. During Terms 4 and 1, children are able to make use of the school swimming pool but must adhere to the aPlus Sun Care Policy (hats and sun lotion). Each holiday programme day starts at 9am and finishes at 3pm. There is before-programme care available from 7.00am and after-programme care to 6.00pm. Each week consists of 3 “stay and play” days and 2 “out and about” days. The stay and play programme offers a variety of themed activities, including craft, art, science, building and games. There is also a sports component, including activities such as polo hockey, pop lacrosse, and tchoukball. Children will need a drink, weather appropriate clothing, and lunch. Morning tea is provided (plain biscuits/crackers and fruit). Afternoon tea is provided for those children staying after 3pm (sandwiches, biscuits/crackers and fruit). The out and about programme involves the children leaving the centre to travel to a location either in Palmerston North or in the surrounding district. Activities may include mini golf, ten pin bowling, skating, swimming, or a barbecue, as well as visits to specific venues such as Colyton Clocks, Coach Museum, Owlcatraz, or shows at Centrepoint Theatre. Children will need weather appropriate clothing, a drink, morning tea and lunch. Children are returned to the centre by 3pm. Awatea Club gives children a taste of guided self-management and problem solving. 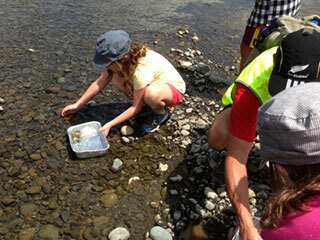 Awatea children are involved in activities that require input and enthusiasm such as building, sewing, craft, paddle boarding, land kiting, karaoke performances and may include overnight visits to venues such as Wellington Zoo, Kapiti Island, Mt Ruapehu, and the National Aquarium in Napier. Children’s safety is paramount to all staff at aPlus. All aPlus staff are required to have current First Aid Certificates and all are vetted by Police.